Carhartt, a fourth-generation, family-owned workwear brand, recognizes the hard work required to both raise a family and run a business. The 129-year-old company identified four father-run businesses from around the country and surprised their owners with hand-painted signs for Father’s Day to thank them for a job well done. 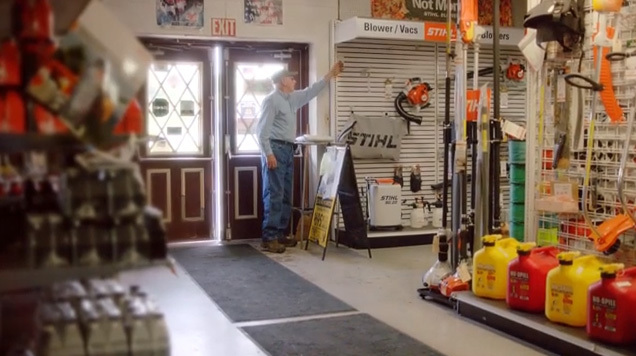 The businesses – Chesney Auto Salvage in Duluth, Minnesota; Dearborn Meat Market in Dearborn, Michigan; Dunlap’s True Value Farm & Hardware in Jersey Shore, Pennsylvania; and Gritt’s Farm in Buffalo, West Virginia – are all owned by fathers and grandfathers with the support of their sons, daughters, and grandchildren. As part of its campaign to celebrate the #CarharttDad, Carhartt worked with local artists along with the owners’ families to paint large signs depicting the name of the family business in a prominent space. All these stories, additional videos and imagery from Carhartt’s Father’s Day celebration, and Carhartt’s Father’s Day gift guide can be found at Carhartt.com. Established in 1889, Carhartt is a global premium workwear brand with a rich heritage of developing rugged products for workers on and off the job. Headquartered in Dearborn, Michigan, with more than 4,700 associates worldwide, Carhartt is family-owned and managed by the descendants of the company’s founder, Hamilton Carhartt. For more information, visit www.carhartt.com and follow @Carhartt on Twitter.